Mango Avocado Shrimp Salad - I Am Proud Of My Kids! Ready to shape up that summer body? That commitment often involves choosing ‘healthy’ over ‘tasty’. But let I’m Proud of My Kids help you keep the ‘tasty’ while still enjoying the ‘healthy’. Check out the ingredients and cooking directions for this all-inclusive salad that will be sure to not only keep your hips looking pretty, but also keep your taste buds happy 🙂 . 2) Dice mangoes and avocados into 3/4-in. cubes; add to bowl. Add green onion, cilantro, chile, and shrimp. Mix gently. Serve or cover and chill for up to 1 hour. 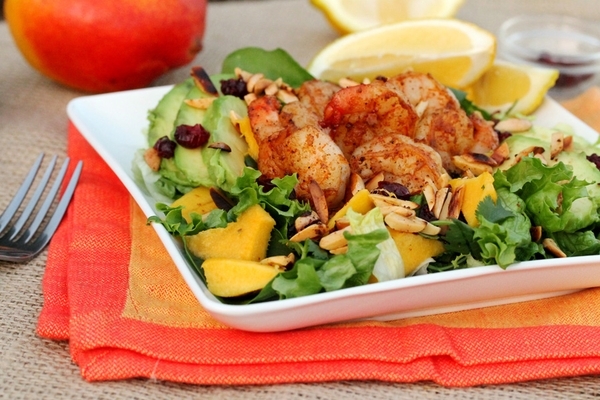 1 Comment on "Mango Avocado Shrimp Salad"
I like it…i’m gonna make this…thanks for posting I’m proud of my kids..! !I’m your follower…! !